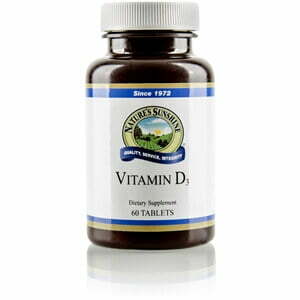 Nature’s Sunshine Vitamin D3 offers the benefits of the “sunshine” vitamin to support circulatory, immune, and structural health. Vitamin D is produced when the sun’s rays hit the skin; in times when sun exposure can be difficult to obtain, such as cloudy months or during the winter, supplementation may be necessary. Vitamin D3 is the more bioactive of the two forms of vitamin D.
Vitamin D helps regulate normal blood levels of calcium and phosphorus, assists in strengthening the bones, and, along with other vitamins, minerals and hormones, encourages bone mineralization. 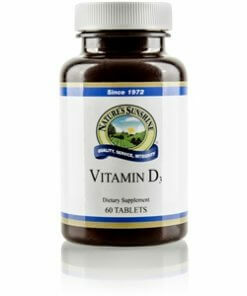 Vitamin D also may enhance immune health.